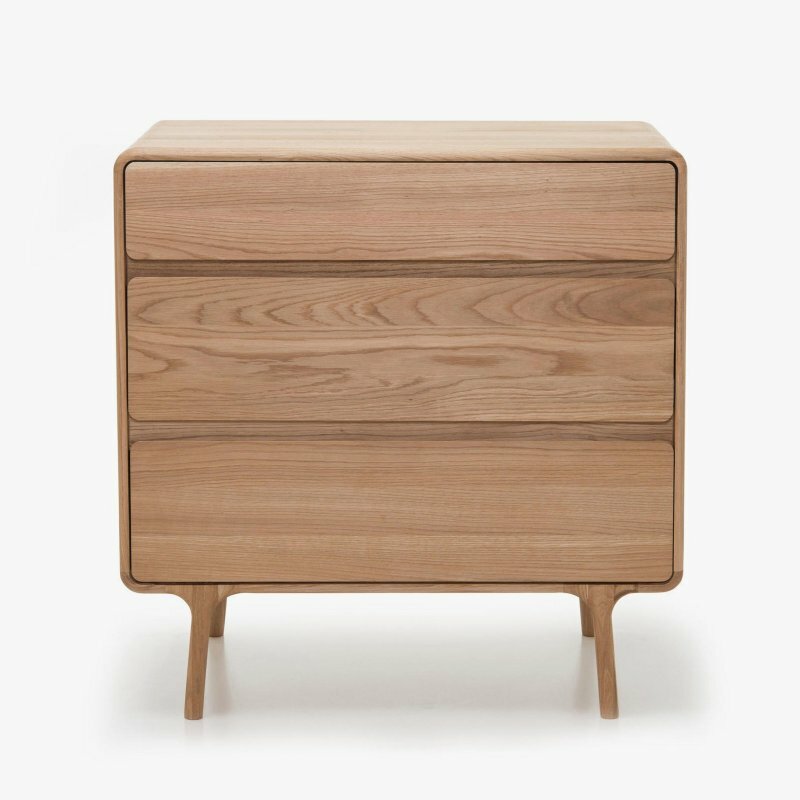 Morrison Dresser is a beautiful chest of drawers with a simple aesthetic, designed by Egg Collective for Design Within Reach. Originally created for designers&apos; longtime friend Morrison Mullen, who needed a custom cabinet for her small apartment. To overcome space constraints, the designers knew the piece would need to serve equally well as a storage unit, serving station and media console. What they created was a multifunctional modern take on the traditional sideboard, featuring a stain-resistant stone top, soft-closing hardware, turned legs, sleek lines and delicately scalloped profile. The original design has since grown into a collection of flexible storage equally at home in the entryway, living room, dining room and bedroom. White Carrara marble or Roman travertine top; flat-sawn cathedral grain walnut veneer or quarter-sawn wild grain ebonized oak veneer over MDF case and frame; solid walnut or ebonized oak legs; solid brass knobs and leveling feet; soft-closing hardware.